This Guy Really Wants To Work For Social Reward Platform Kiip. Is This The New Way To Land A Job? I’ve seen plenty of interesting and unique “resume sites” where people are trying to get the attention of the companies that they really want to work for. Sometimes it’s a Facebook ad, a video or something using the service itself, like a slideshow. 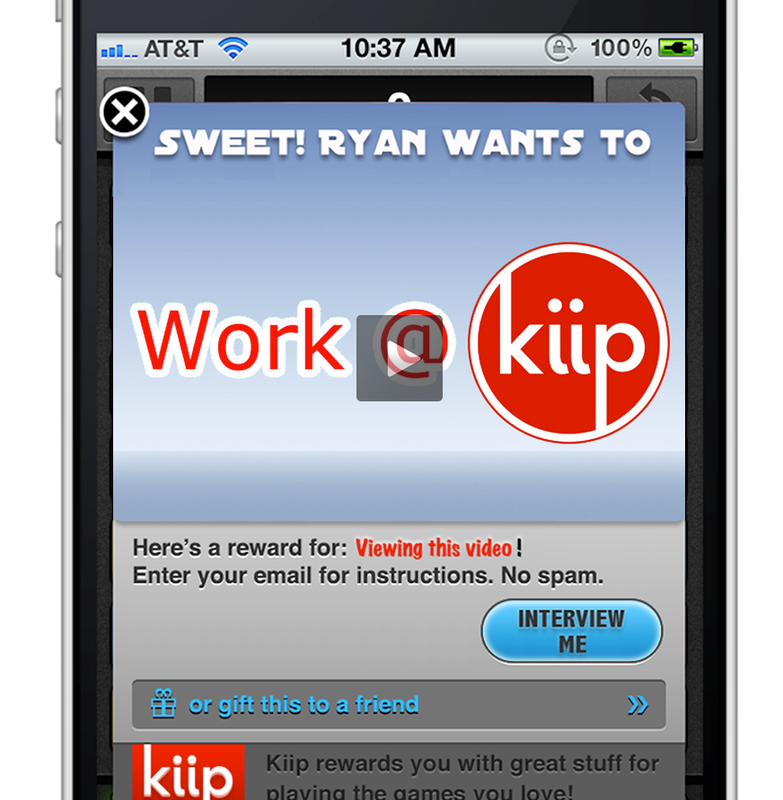 Yes, this looks like a Kiip reward unit that pops up in a mobile app that uses the service’s SDK, complete with a video pitch. Amazing. It’s pretty awesome that someone can be this creative to catch our attention. Kiip is hiring and we’re always looking for great people. I think he raised the bar for everyone just a little bit. It’s almost as if this type of thing skips the recruitment process completely, surfacing passionate people who care about the company itself. Will Ryan get the job? I’m sure he’s being considered just like Kiip considers all candidates, but this surely got his foot in the door in a major way.